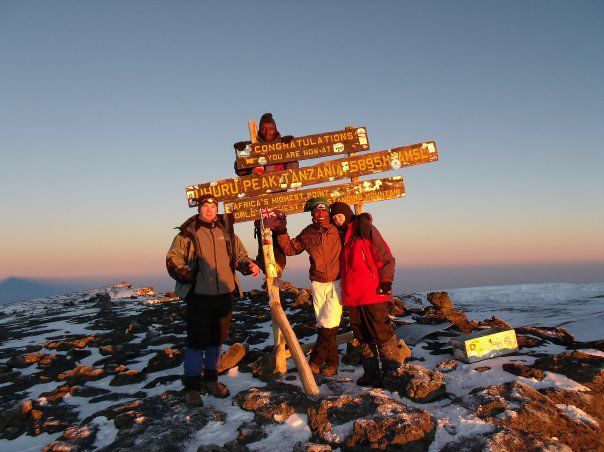 For many people a highlight of travelling to Northern Tanzania is to climb Mt Kilimanjaro. Mt Kilimanjaro is Africa's tallest mountain and one of the highest mountains in the world, accessible by foot. This mountain is not only for experienced climbers. As long as you have a reasonable level of fitness and plenty of determination you will thoroughly enjoy the experience. We have many generous people who decide to take on this challenge whilst raising much needed funds for Path to Africa and Hope Village Orphanage. Not only would you be helping the community, you will also have the opportunity to visit Hope and therefore see exactly where your funds are going. During February each year we try to organize a group charity climb however, if these dates do not suit, you can climb for Path to Africa at any time of the year. Whether it's with a group of friends or by yourself or we can link you with some other single climbers. All charity climbs are organized and run by African Scenic Safaris, www.africanscenicsafaris.com Contact can be made directly with African Scenic Safaris or through Path to Africa.